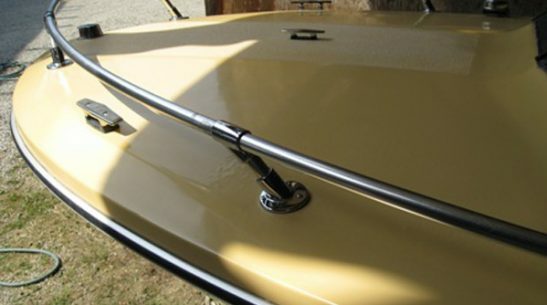 Our boat cleaning and maintenance services and the products used to clean the hull and deck of a fibreglass boat or yacht are available only through our trained and licensed Service Agents. Each agent is trained to use our specially developed techniques to guarantee optimal results through the yacht detailing process. The Pro Boat Clean detailing business depends upon our reputation thereby guaranteeing service quality and enabling the success and proven reputation. We can provide references from satisfied boat owners, dealers and brokers at your request. Pro Boat Clean is fully licensed and insured for commercial general liability and its operating companies are registered with the workers compensation board. Of course we plan to take extremely good care of your boat and hope we will never need the insurance! Our charges are based on the size and type of boat, not by the hour – you will know exactly what the total cost is going to be before we start, unless of course you ask for extra cleaning services. © 2019 Proboat Clean All rights reserved.